Cloud Climbing Beauty: Go Matte! The newest wearable trend is a matte look in makeup. Of course, we've been using pressed or loose powder for a matte look for decades, but getting a true matte look in lipstick has not been easy....until now. Avon's new Perfectly Matte Lipstick "never cakes, cracks, or compromises." This 100% true matte look lipstick with True Color Technology seals in moisture and has a weightless, velvety-smooth feel with lasting comfort. 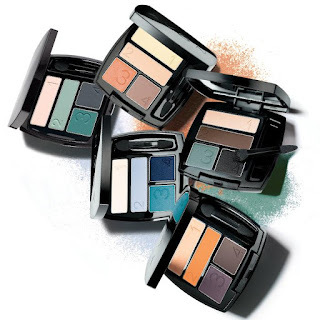 To get a complete matte look, we also have five new True Color Matte Eyeshadow Quads: On the Vine, Tenderness, Tranquility, Smoke and Fog, and Desert Sunset. This tutorial will help you with application of both the matte eye shadow and the matte lipstick and has some suggestions for Avon Representatives to share with their customers. So, are you ready now to join the matte trend? 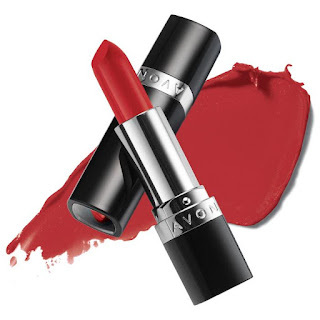 It's chic, polished, sophisticated, and effortlessly beautiful, and it's all from Avon! !